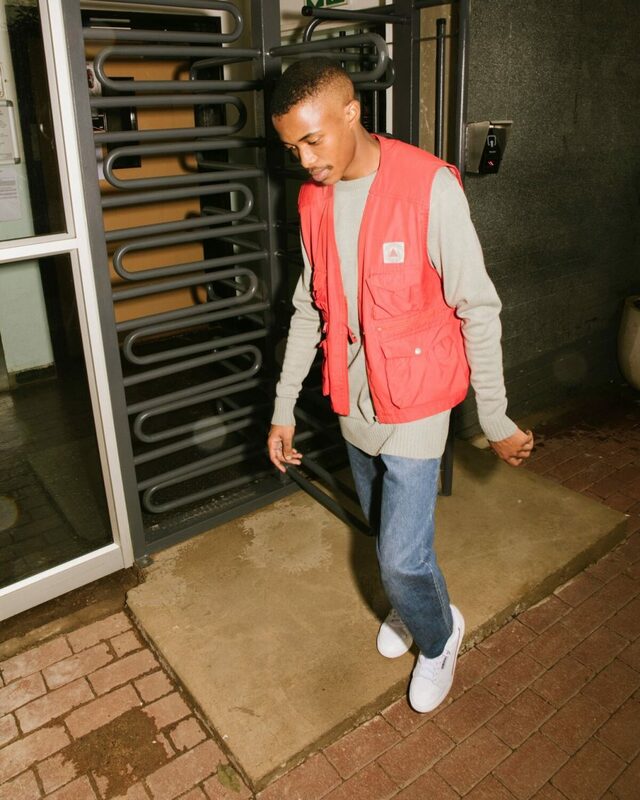 Siya Myaka is an art director and 1/8 of Bushkoppies, a multidisciplinary creative collective. Myaka was asked a few questions framed around the Continental 80 campaign messaging being Only For Everyone – the much loved silhouette which returns as a symbol of democratic design for the contemporary sneaker wearer. The aim of the Q&A was to bring across the versatility of the sneaker through Siya’s creative work as an art director. It speaks to themes I strongly believe in, such as community and accessibility. I believe this is a bold approach in a climate that’s looking to limit stuff. I lean towards styling this classic silhouette with classic pieces such as Fubu, Navarro and recently with our Classics Denim. HOW HAS BEING PART OF A CONTEMPORARY CREATIVE COLLECTIVE LIKE BUSHKOPPIES INFLUENCED THE WAY THAT YOU APPROACH MULTIDISCIPLINARY ART DIRECTION? Being part of a diverse collective has given me the freedom to explore and refine my ideas before thinking about the medium outlet. The application of multiple mediums allows us to innovate and create value for our audience. AS A CREATIVE TODAY, YOU ARE DEFINED BY YOUR VERSATILITY. HOW DO YOU BALANCE CREATING PERSONAL WORK AND CONTENT FOR BUSHKOPPIES? I apply a similar process in both cases but the use of different sets of mediums result in unique outputs and the design intention varies with each project.